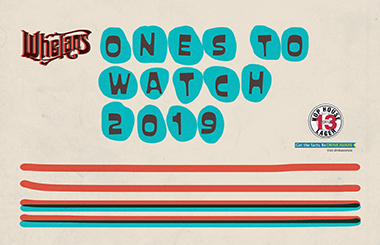 Now in it’s 9th year, Whelan’s Ones to Watch festival is back. We’re picking 60+ new & highly rated acts which showcase the wealth of talent that Ireland has to offer. The festival takes place over 5 days & 3 stages in Whelan’s from Jan 16th-20th 2019. With a wide range of music covered, Folk, Indie, HipHop, Electronic, Experimental, Rock and more, we’re looking to showcase the best emerging talent in the country, whilst also showcasing artists that have taken the next step and are planning releases in 2019. €5 per day or €10 for all 4 days – plus a pint of Hop House 13! – 50c per ticket service charge applies on phone, internet or creditcard bookings.